Seqr does not require merchants to install new hardware and promises to cut transaction fees in half by bypassing the traditional payments networks. McDonald’s, Axfood and Kjell & Company have already adopted the system in Sweden. 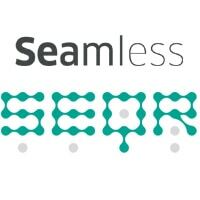 Swedish mobile payments specialist Seamless has added NFC support to its fast growing QR code-based Seqr payments platform. Seqr is currently used by a number of retail chains in Sweden, including McDonald’s, Axfood and Kjell & Company. Seqr requires a software upgrade to merchants’ cash registers and for retailers to place a sticker printed with a QR version of their Seqr ID number at the checkout. In exchange, it promises to cut transaction fees by 50%. When a customer wishes to pay via Seqr, they simply scan the QR code using the Seqr app on their mobile phone. At the same time the merchant selects the Seqr button on their cash register. The transaction amount is then sent to Seamless’ server and, from there, to the customer’s mobile phone. The customer then approves the payment by entering their PIN and immediately receives a digital receipt for their purchase. Customers can also use Seqr to make purchases online and send money to friends and contacts as well as make payments in stores. No money is debited from the customer’s bank account at the time of purchase. Instead, they receive a bill from Seamless at the end of each month, detailing the transactions made and amount to be paid. They are then given two weeks to pay the bill. To add NFC support, Seqr merchants are being issued with new merchant ID stickers that include an NFC tag as well as the existing printed QR code. The Seqr app will then be updated in May 2013, allowing users with an NFC phone to just tap the stickers rather than capture an image of a QR code. To make sure users will be able to pay for their purchases at the end of each month, Seamless runs a credit check on new customers, Peter Fredell, Seamless’ CEO has told NFC World. “We are not using the Visa and Mastercard settlement system, so we are avoiding all of the associated fees that go with that meaning we can cut the transaction fee by 50%,” Fredell explains. “When we started this part of our business, we looked at different ways for phones to communicate with the cashier point. Not every phone comes with NFC which is why we decided to go with the QR code and, also, we had issues with the security of NFC. “These security issues included the protection of a customer’s personal data and account data which is transferred through the air so it is easier to hack. But it is a technology we had ready to roll for some time and we have now decided to let the client decide what they want to use, whether it be QR code or NFC. “We use an encryption key that is linked to the phone itself for security reasons and have no agreement with any mobile operators; we are carrier independent.